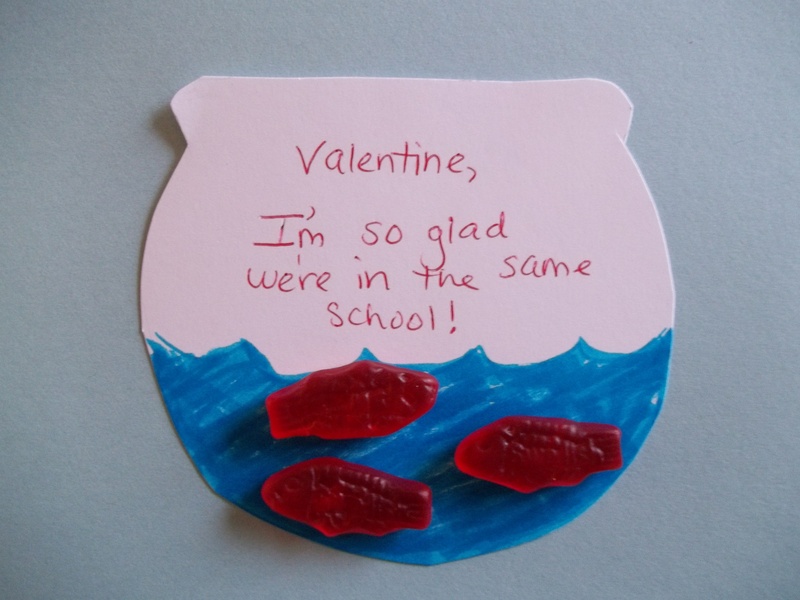 So, here’s another quick and easy homemade Valentine idea for a boy or girl to make for their class at school. It’s not frilly, pink, or mushy-mushy. 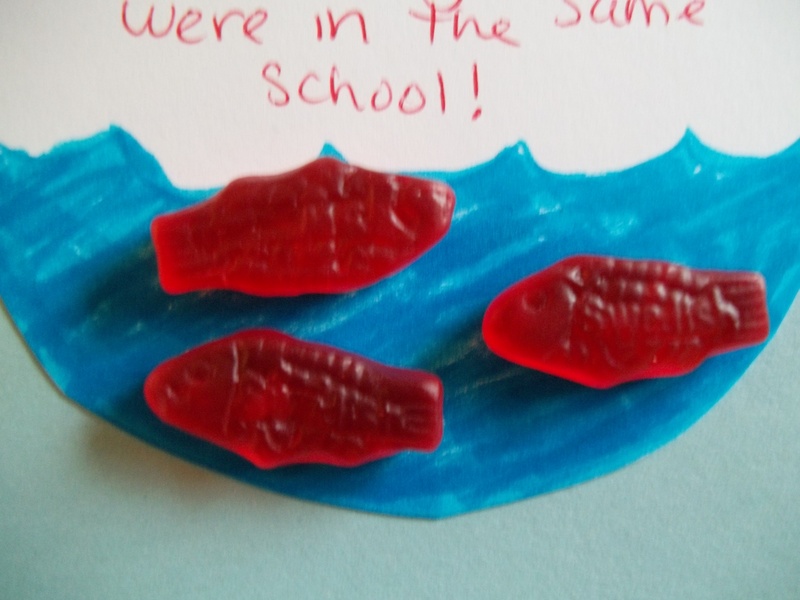 As you can see, it looks like a fish bowl with red Swedish Fish, all packaged in a cello bag with rickrack to tie it up. The instructions are ridiculously simple. Take a piece of white cardstock and cut out into a fishbowl shape. I first held mine up to the cello bag I was planning to use to make sure it was the right size. Color in some blue “water” and write out the message. I plan on having my child write the “To” and “From” on the back of the fishbowl. 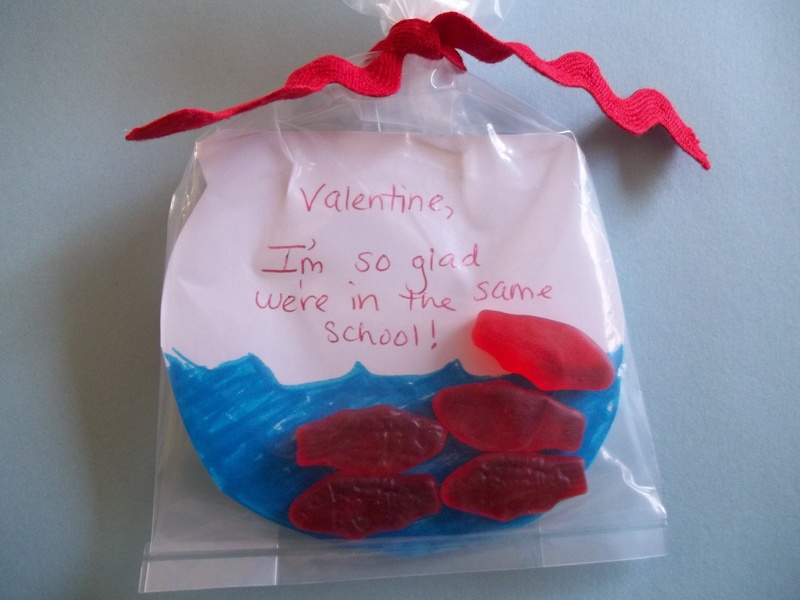 Place it in a clear cello bag, pop in some Swedish Fish, secure the bag with a twisty or a ribbon, and you’re all set! 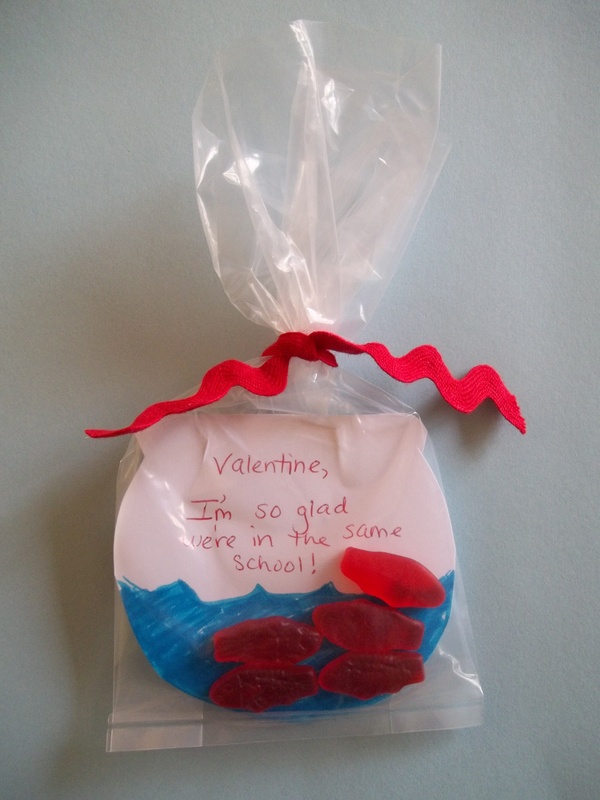 A cute and easy idea for classroom Valentine’s.